This has been the spot for 34 years. No more! Below is the press release from Wineries Unlimited. The move is a surprise, but not that big a surprise. The southern region, especially Virginia, has swollen with wineries, though New York still out numbers it almost 2.5 to 1. But the other southern states are also growing. 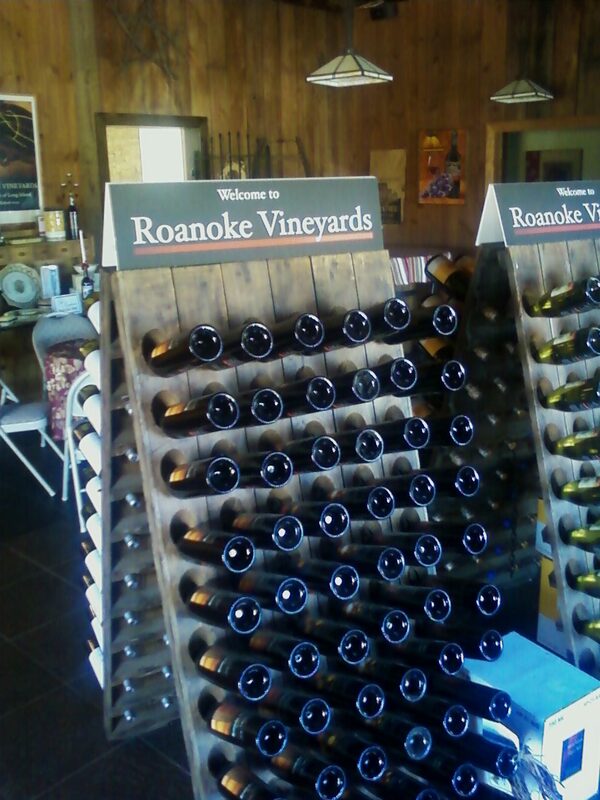 The play by the Virginia wine industry is a smart one. Let's face it, the Pennsylvania wine industry never embraced the fair as an opportunity to showcase itself, it never played to the wine drinking crowd of WU. That was a massive lack of imagination by the Pennsylvania wine association. The folks in Virginia are too smart to let that happen. Watch for announcements fromVirginia vinters playing up events that will coincide with the fair. Virginia will use the fair to advance its image as a glam wine state on par with New York, Oregon, Washington, and California. This is also an attempt to set up a stronger regional fair after Viniculture 2010 took a bite out of WU. It's the smart play for the WU. It does make getting to WU for many Northeastern vinters more difficult. How will this all fit out? The drive to Richmond is six hours or more from New York. Not the three it was to Philadelphia. And the New England attendees? How many of them will attend? And will Cornell step up their Viniculture program to counter this? Only the next five years will tell. Santa Rosa, California (April 28, 2010) -- Wineries Unlimited, the second largest vineyard and winery conference and trade show in North America, is moving to the Greater Richmond Convention Center in Richmond, Virginia after a 34-year run in eastern Pennsylvania. Wineries Unlimited 2011 is scheduled for March 29 – April 1, a period that is approximately three weeks later in the season than recent shows. The new venue offers several advantages while the more southerly location and later dates are expected to provide better weather conditions for attendees traveling from other states. 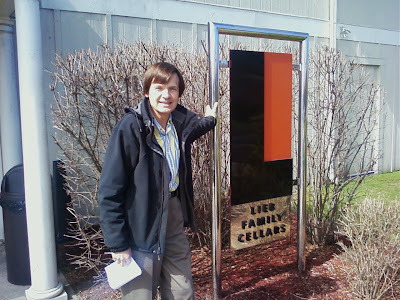 Wineries Unlimited (http://www.wineriesunlimited.com/) has been produced by the wine trade publication Vineyard & Winery Management since 1976. 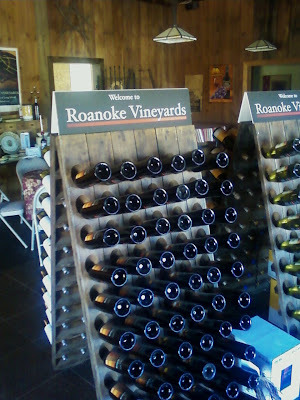 In addition, Virginia has a growing wine industry with active tourism and trade organizations that welcome the move.“The outpouring of enthusiasm and excitement we’ve received in the State of Virginia — from the wine industry up to the governor — has been tremendous,” said Robert Merletti, publisher of Vineyard & Winery Management magazine. “Virginia vintners are eager to learn the latest winegrowing techniques as well as establish beneficial vendor relations.”“We are thrilled that Wineries Unlimited has decided to move to Virginia,” said Governor McDonnell. McDonnell also said that the estimated 2,000 people and $1.5 million in new revenue the event will bring to Virginia are consistent with the tourism and wine industry priorities included in his “Jobs and Opportunities” legislative agenda. 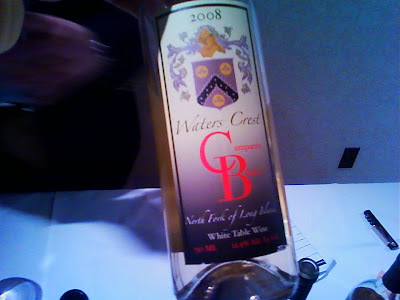 The last four editions of Wineries Unlimited were held at the Valley Forge Convention Center in suburban Philadelphia while a number of previous shows were located in Lancaster, Pennsylvania. Wineries Unlimited 2010 took place March 9-12 with attendees from 30 states as well as Washington, D.C. and four Canadian provinces participating in four days of seminars and two days of trade show exhibits. Total attendance was 2,343. Vineyard at Noble Winery in Westfield on the Chautauqua Wine Trail. SPECIAL TO "THE BUFFALO NEWS"
The words “lake effect” can have a chilling consequence on Western New Yorkers. But for grape growers along its shore, Lake Erie provides the opportunity to fill glasses with delightful fruits of the vine. And through New York’s Chautauqua County, and Pennsylvania’s Erie County, that fruit turns into some excellent wine. With 30,000 sandy soil acres dedicated to growing grapes, the region enjoys a mild climate moderated by “lake effect” weather. Cool springs keep buds from growing too soon, and warm late summers and mild autumns extend the growing season while reducing the risk of frost. In recent years, more wineries have taken root in the area, and more wine lovers have been drawn to follow the Chautauqua Wine Trail. In their vineyards in the town of Sheridan on Route 20, the Burmasters grow 13 grape varieties on 93 acres. 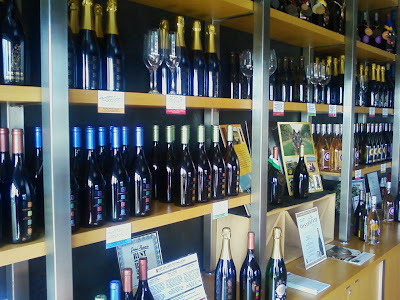 They produce 21 wines, including a 2008 Pinot Grigio and 2009 Riesling and Diamond, which won gold medals in the 2010 Grand Harvest Awards in Sonoma, Calif. Open every day for tasting and tours, Liberty also has a gift shop selling nonalcoholic products like Concord Grapeseed Oil and Concord Grape Pie Filling& Topping. Behind the tasting bar is an antique oak humidor. Now used for display, the case was built in Buffalo by A. F. Meyer& Sons, formerly at 404-408 Broadway, and hails from a Dunkirk tobacco shop. Liberty now counts among its customers the 93-year-old daughter of the owner of that tobacco shop. Sam Landis said that Pennsylvania Winery Association has tried a number of smaller initiatives to gain exposure in the past and "to be honest with you, they haven't been very successful." So now they're working with Pavone Advertising in Harrisburg and Seven Springs resort out in western PA on something far grander: breaking the Guinness Book of World Records for the world's largest toast. Landis, the association president, said they have identified Saturday, Aug. 14, as the day to break the current mark of 17 thousand and change. They figure sometime that afternoon they'd put a yet to be identified celebrity out at Seven Springs to lead a toast there, where Lancis figures they can gather 4,000 or 5,000 people. Then they'll simulcast that to wineries across Pennsylvania, who would gather visitors, turn on the TV or flip open a laptop, and have everyone toast at the same time. "Even if it gets out there on the wire that Pennsylvania wineries are trying to break the world's largest toast, at least that's something," he said. "We're just trying to get a big splash, a one-time thing rather than doing a lot of smaller every-month hitters. "Worst case scenario, you get a bunch of people reading" who didn't know Pennsylvania had so many wineries," he added. "Best case scenario, we break the record and get on CNN." One other initiative is pushing for passage of House Bill 1860, which would increase festival days for wineries from 40 to 100. "It's a pretty small, inconsequential bill in terms of legislation right now, but it's really a good way to a get a lot of smaller wineries some more revenue. Its a pretty cumbersome system right now. If you want to go to a festival, you can only go for five consecutive days and a lot of these festivals run for two weeks." He noted one such festival is in Kutztown. "So you have to go for five days, take a day off, and then go back for five more," he said. In May of this year, the first winery in Dorchester County, Maryland will open. That's on the Eastern Shore. There's a lot of excitement in Maryland wine cricles on this new winery. Ribbon Cuuting Ceremony will be on May 21, 2010 and the Grand Opeing will be on May 28, 2010! The Layton family has been farming in the Salem area of Dorchester County for several generations, on what is now 1800 acres known affectionately as Lazy Day Farms. Joseph H. Layton, Sr. bought the original farm in 1948, and farmed until 1981. In the mid-70s, Joseph H. Layton, Jr. and Laura Layton purchased Lazy Day Farms, which they still farm today with their son William. Over the years they have raised cattle and tomatoes; today they grow corn, soybeans, wheat and grapes. William and his wife Jennifer Layton, and their children Stephen and Alison, live on the Home Farm which is also the location of the new winery. 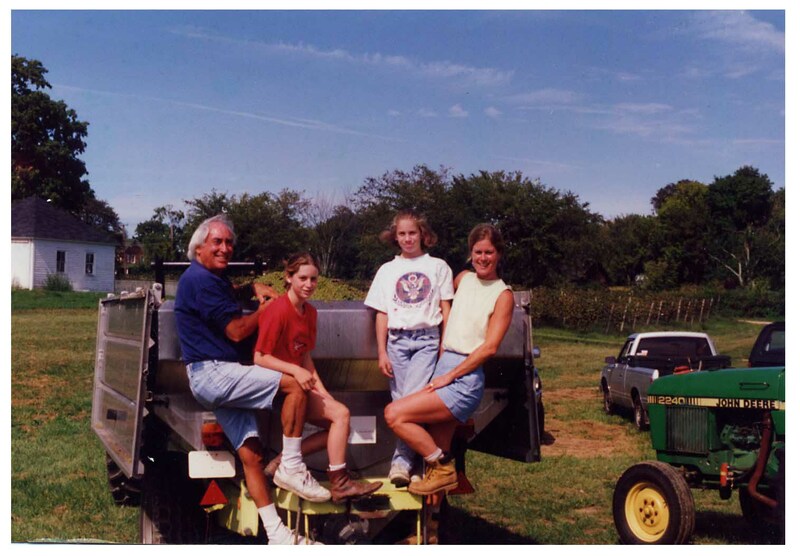 In an effort to diversify their farming operation the family reevaluated their business, and a few years ago joined Maryland’s growing wine trade. 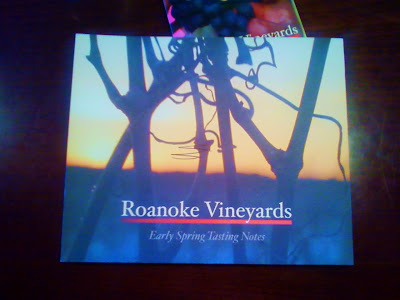 They planted their first grapes in 2007, choosing to grow grapes hardy and well-suited to the Eastern Shore. The name Layton’s Chance comes from a family property nearby, an indication of the strong family history in the area. While the vines were climbing trellises, the Laytons took on different aspects of the project. Joe, Laura, William and Jennifer each own a quarter of the winery and make decisions by consensus, however each family member plays a distinct role. 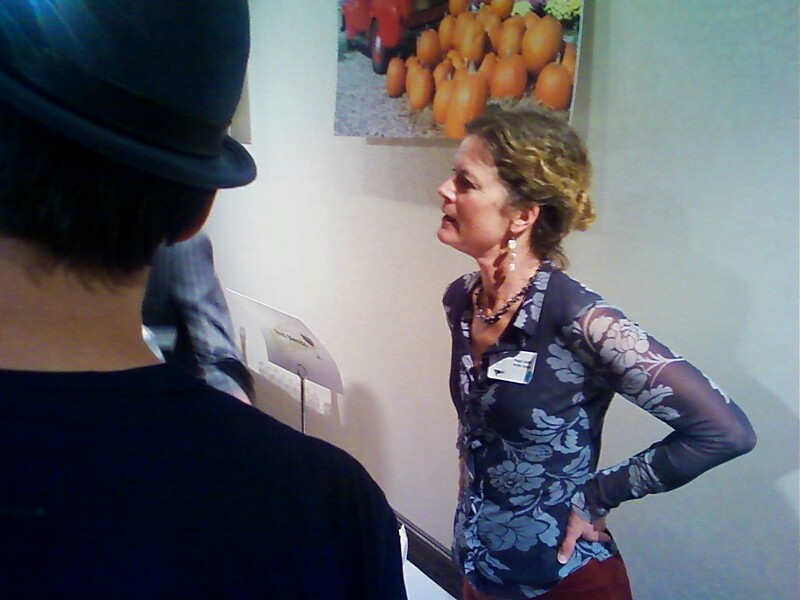 In the fall of 2009, the Laytons hired a few employees for vineyard and winery operations, and to help on the farm. As the weather turns warmer, there's more and more opportunties to try the great wines being made in Maryland. Here's a list of upcoming events for the summer. Mark one o two down for your calender. They are wonderful events. In Maryland, they know how to do things up right! Wine in the WoodsMay 15-16, 201012-6pm Symphony Woods Columbia, Howard Co.
Chesapeake Bay Wine FestivalJune 5-6, 201012-6 pm Stevensville, Queen Anne's Co.
Great Grapes! Wine, Arts and Food FestivalJune 12-13, 201012-6 pmOregon Ridge ParkCockeysville, Baltimore Co. The 27th Anniversary Maryland Wine Festival®September 18-19, 2010Sat 10-6 pm, Sun 12-6 pm Carroll County Farm MuseumWestminster, Carroll Co.
May in New York Wine Month and Riesling Month in the Finger Lakes! NEW YORK WINE MONTH in the greater Albany area officially kicks off a week from today, when 68 wine retailers and 30 restaurants will feature hundreds of wines from 45 participating wineries throughout the month of May. Spring has sprung, and it’s the perfect time for consumers to discover the great wine produced right in their own backyard. We’ve been planning this promotion for months in conjunction with wineries, wholesalers, retailers, and restaurants to showcase the homegrown wines that, quite frankly, have traditionally been under represented in our State Capitol! There's a new website named (http://www.newyorkwinemonth.com/) which will go live next week, listing all the participating wineries, stores, and restaurants, including which wines they’re featuring. We’re also supporting our partners with radio and print advertising to lure consumers into their businesses. Our reliable partners at the Albany Times-Union have fashioned a great combination of traditional print advertising and social media to get the word out about the promotion. It’s time for Albany to discover the industry that contributes more than $3.76 billion annually to the State economy: When you buy New York, you build New York. MAY IS RIESLING MONTH at the New York Wine & Culinary Center, with a whole series of Riesling-focused events launched by the Rendezvous with Riesling tasting on the evening of May 6, featuring many of New York’s top producers along with great foods. Forty Riesling producers from four different regions will be represented at the walk-around tasting, with over half represented by their owners and/or winemakers. During the month, the Taste of New York restaurant will feature a six-course dinner, with at least two courses paired with Riesling wines. In the Viking Range Hands-on Kitchen, chefs-to-be will learn how cook with Riesling, and for Riesling as the featured wine. A series of Riesling-related seminars will be held in the Wine Spectator Educational Theater, including one on food pairings, along with a library tasting of Fox Run Rieslings from several vintages. Atwater Estate Vineyards will host a winemakers’ dinner as well. Riesling is the “signature wine” of the Finger Lakes, with no better time than May and no better place than the New York Wine & Culinary Center to learn why it has become world-famous. For more information and registration, visit http://www.nywcc.com/. I have always been jealous of New York Cork Report Editor-in-Chief, Lenn Thompson, because he lives out on the Island, where there are so many wonderful wineries right next to one another. And there are those that are sometime hard for me to get my hands on. When Lenn came to visit us one at the farm, one of the first things I asked him to bring was a Roanoak bottle. I read so much about it fon Lenn's NYCR and from Howard G. Goldberg, from the New York Times. I was dying to try some. 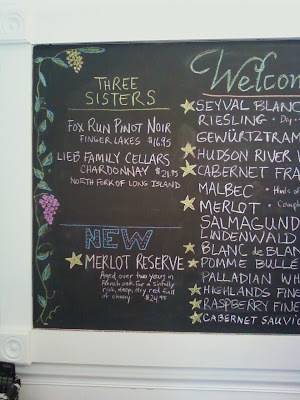 Dominique and I were on the North Fork, and decided to stop in at the Roanoak tastingroom for the first time. It was a real treat. The mood in the winery is set with all the dark beautiful woods. Very textural. And of course the wines match to boot. 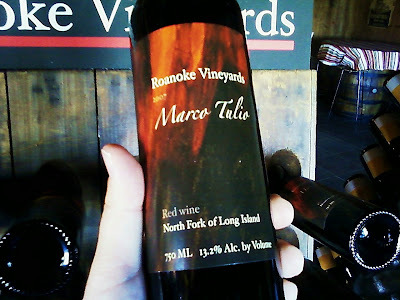 One of the first ones I had was the 2007 Marco Tulio. This a Cabernet Sauvignon and a Cabernet Franc blend. There’s lots of cherry, from bright fresh fruit, to much deeper, more dark cherries. Maybe some lavender. Definitely some vanilla. A big, deep red wine, with nice balance, and a wonderful finish. I really liked this. I then had the 2006 Cabernet Franc. Again, lots of cherries. A touch herbal, but in a nice way. A nice touch of vanilla. And then there was the 2007 Gabby’s Cabernet Franc. 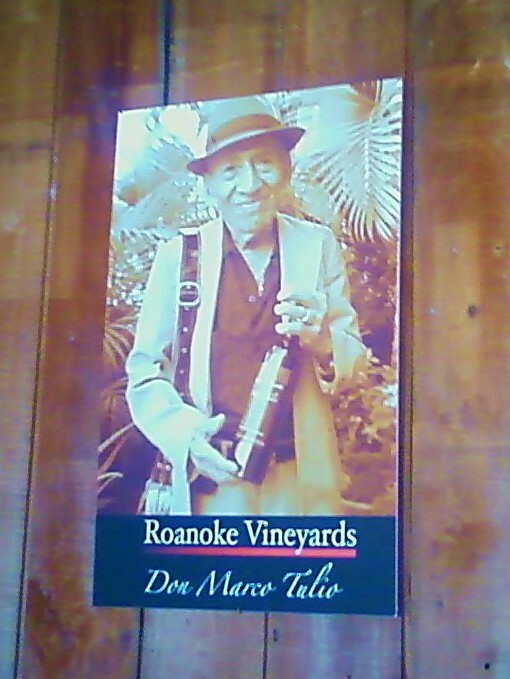 The wine is named for Gaspar, father of Richard Pisacano, who managed Wolffer Vineyards until 200, when he founded Roanoak. It’s no surprise here then that the winemaker/consultant is Roman Roth. 92% Cab Franc. 8% Merlot. Wow! I really loved this. Big deep, sour cherries. Lot’s of red and dark raspberry. This was big, deep, smooth rich wine, with lots of great mouthfeel and exciting fruit. It had beautiful tannins. A big red wine, perfect for steak or grilled mushrooms or rich, zesty pasta dishes. Great with a hunk of aged sharp cheese. Among my new favorites from the island. We bought a fair amount of Roanoak before we left the island. And so should you! Three From Lieb Family Cellars and Garry Madden Too! Recently I had the great pleasure to meet Gary Madden, general manger at Lieb Family Cellars. I visited their tasting room in the front Premium Wine Group. The tasting room is a nice size, and very modern and hip, with brushed stainless steel, modern hanging light fixtures, and a large wall of bottled wine on display. 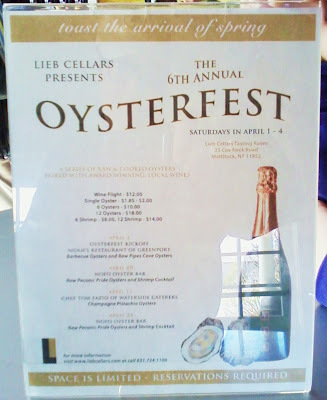 We were there during the week of Leib Family Cellars Oysterfest, which is a promotion they run on Saturdays in April. However, since it was a weekday, we missed the oysters. Gary is a great guy. He showed us around the facilities, and let us taste a few wines. But more importantly, Gary is involved. 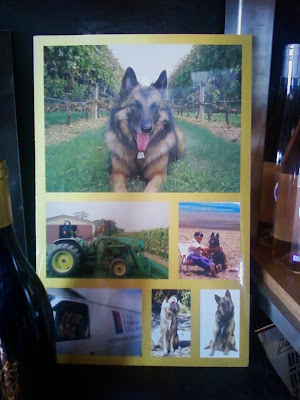 Through his efforts, they have several wines that they sell which are tied to charities. 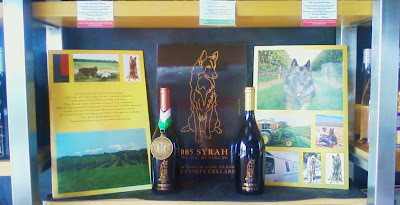 A portion of each of sales of their 2005 Syrah, imprinted with a picture of Gary’s late shepherd, goes to help with a local animal organization. And he also has another tied to a local breast cancer foundation. 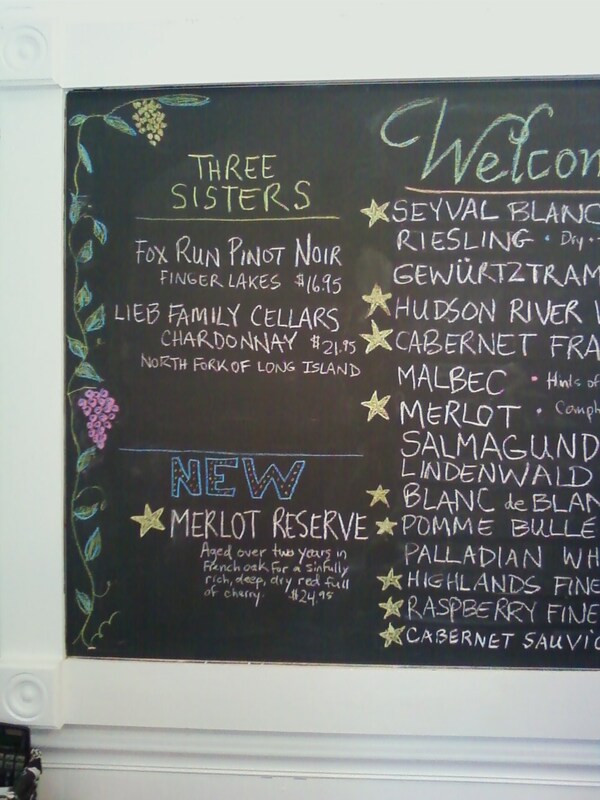 Gary was also recently tied into the Three Sisters Project, which traded and poured wines form other regions of New York. He’s a very proactive general manager. We tasted three wines: Pinot Blanc, Chardonnay and the 2005 Syrah. The Pinot Blanc was lovely, with a wonderful flowery nose, and a lovely citrusy ending. It was light, bright, fresh, clean and delicious. The Chardonnay is a lovely dry white wine that smells of fresh greens apples of front, with a touch of melon and honey. The taste again is light and bright, with excellent balance and acidity. I’m not a huge chardonnay fan, but I love the Lieb Family Cellars Chardonnay. I think it’s one of the best on the North Fork. And last was the Lieb Family Cellars Syrah. This had lots of beautiful stewed dark fruits – plums, dark raspberries, dark cherries – and a lovely mouthfeel. This is a big fruit up front wine, with lot’s of fruit up front. But it’s approachable too. It’s tannins don’t bite, instead it’s lush and soft and delicious, with a hint of vanilla and plum at the end. Really, a lovely dry red. Lieb is doing some wonderful things. 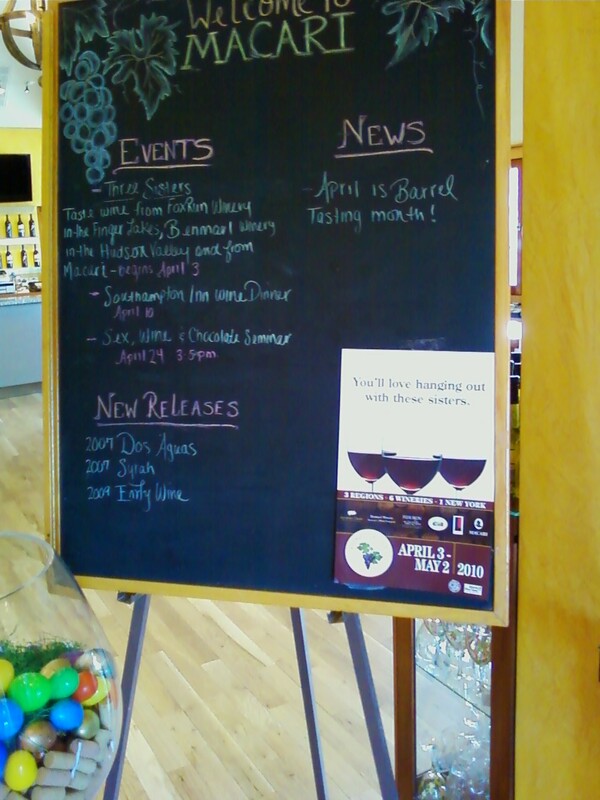 Here's some pictures of the promotions at Macari Vineyards, Lieb Family Cellars, and Hudson-Chatham Winery. It's been a lot of fun for both the consumers and the wineries. And it's still not over. Run to anyone of the participating wineries, and ttast New York! Peggy Lauber is one of the most experienced wine people on Long Island. She founded one of the most well know wineries (Corey Creek), and now is a sales director at another (Wolffer Estate) in a wine career that has spanned 17 years. Joel and Peggy Lauber bought a vineyard in 1993, intending to sell grapes to local wineries. Then they tasted their incipient Chardonnay and fell in love. Thus was born the Corey Creek label. New York Times wine expert Howard Goldberg christened Corey Creek "Rookie of the Year" and "Golden Touch Vineyard," for its chardonnays and merlots. 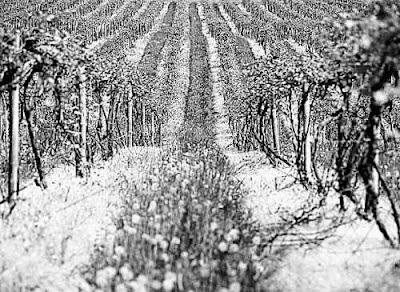 The original vineyard was 18 acres; there are now 30, with Chardonnay, Merlot, Cabernet Franc, Gewurztraminer and Pinot Noir grown. There was no winery, but there was a charmingly rustic tasting room nestled among the vines south of the Main Road. Corey Creek's were produced by top winemakers at various East End wineries. That collaboration resulted in such accolades as the gold medal for their '97 Merlot and silver for their Reserve Chardonnay at the NY State competitions. This is a picture of the Lauber family in 1996: Joel, daughters Kate and Ali, and Peggy, before the tastingroom was built. Kate was 13 and Ali 10. Today they are now 28 and 25! 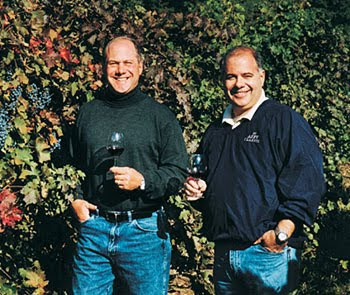 The Laubers sold Corey Creek to Michael Lynne, a motion picture executive and new owner of Bedell Cellars. 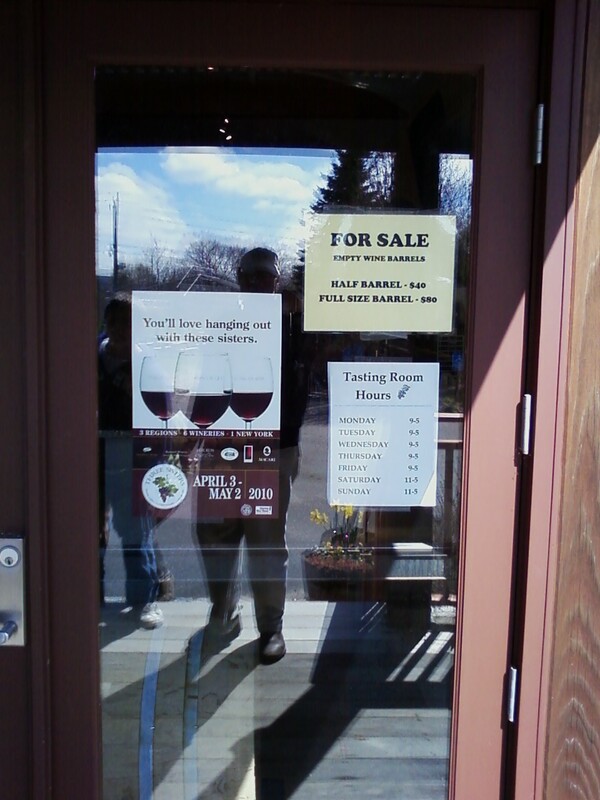 However, they oversaw the sale of wines already made or in progress thru Jan. 1, 2001. Lynne has gone on to invest lots of money into Corey Creek since then. Peggy Lauber is now the National Sales Manager at Wolffer Estates, when I caught up with her at a recent event. When did you found Corey Creek? 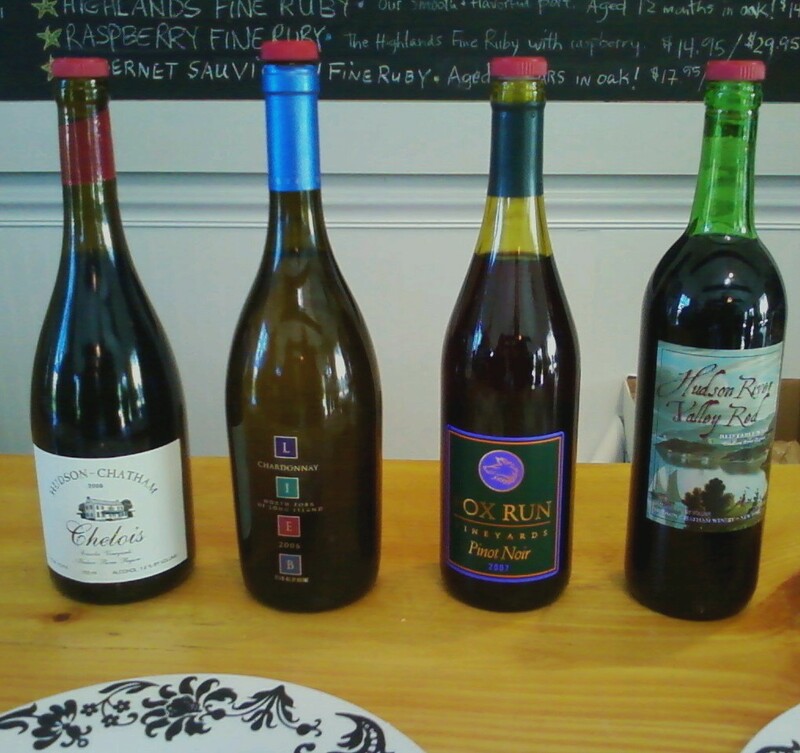 We purchased what was then called Southold Vineyards, a 30 acre property, in 1993. The vineyard had at one time supplied grapes for the now-defunct Bridgehampton Winery. We named it Corey Creek after the creek located to the Southeast of the property. How long were you with it? 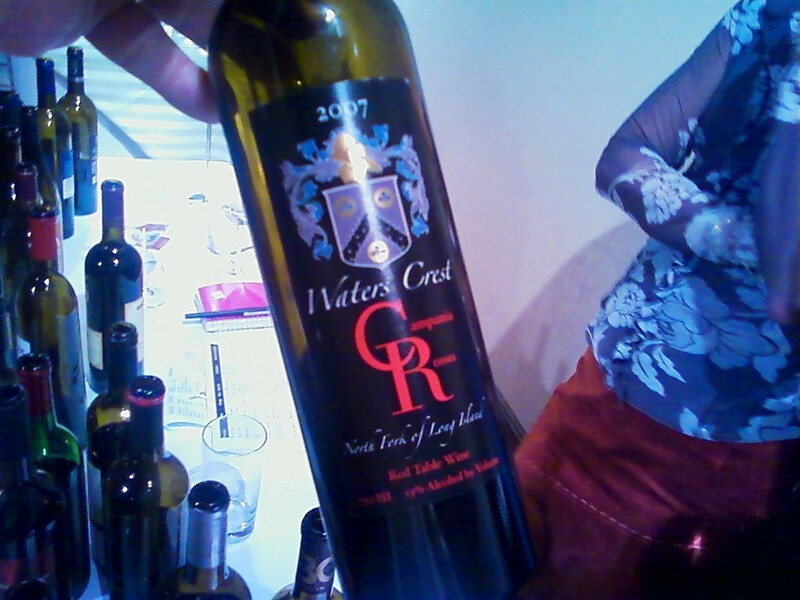 We sold Corey Creek to Michael Lynne in 1999. However, as per the terms of our agreement, my then-husband and I stayed on to run the business there until 2000. I worked briefly for the distributor, Winebow, until Michael hired me back to oversee the sales and marketing for both Corey Creek and Bedell Cellars, which he had purchased in the interim. When did you sell it? Why? We were getting a divorce. Michael came along with a very attractive offer, and we felt the business would have a bright future under his leadership. Was there anyone or more people on the Island who were a great help? Matt Gillies, our vineyard manager, was instrumental in getting us off the ground. Also Dan Kleck and Russel Hearn, the two winemakers with whom we contracted to make the wines (we did not have a winery on the premises). Dan was the charismatic and talented winemaker at Palmer Vineyads in those days, who left Long Island to work with Jess Jackson, right around the time we sold the property. Russel made Merlot and Cab Franc for us, as well as our first Rose (1997 vintage), just before he started Premium Wine Group, the custom-crush facility, with his investor/partners Bob Pellegrini and Mark Lieb. Continuing to work together while separated! I have to say that by 1994 when I began selling our first Chardonnay in the market, it was not nearly as difficult to sell wines from Long Island to a skeptical public as it must have been for folks like the Hargraves, Pellegrini's and the Damianos family (Pindar). Those were the pioneers. First Dan, then Russel came on board as well. 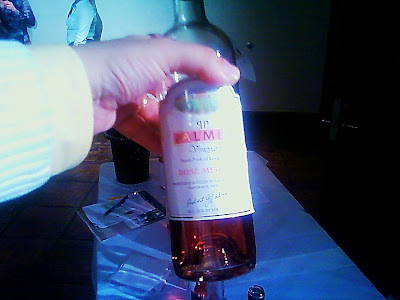 The wines were made at Palmer and Pellegrini. Are you still in touch with the people who worked for you at Corey Creek? Absolutely! We're a close-knit region and a small town, really. One of my dearest friends, Charlotte Deutsch, managed our tasting room and marketing and is now an importer of Spanish and South American wines in New York, Vinos Libres. 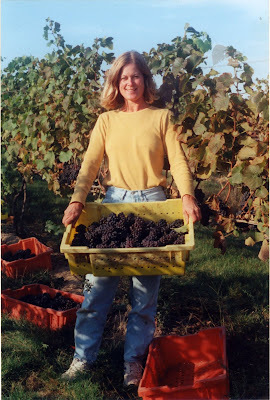 Dorothy-Dean Thomas is now the marketing director at Lenz Winery. Do you have any contact now with the company? 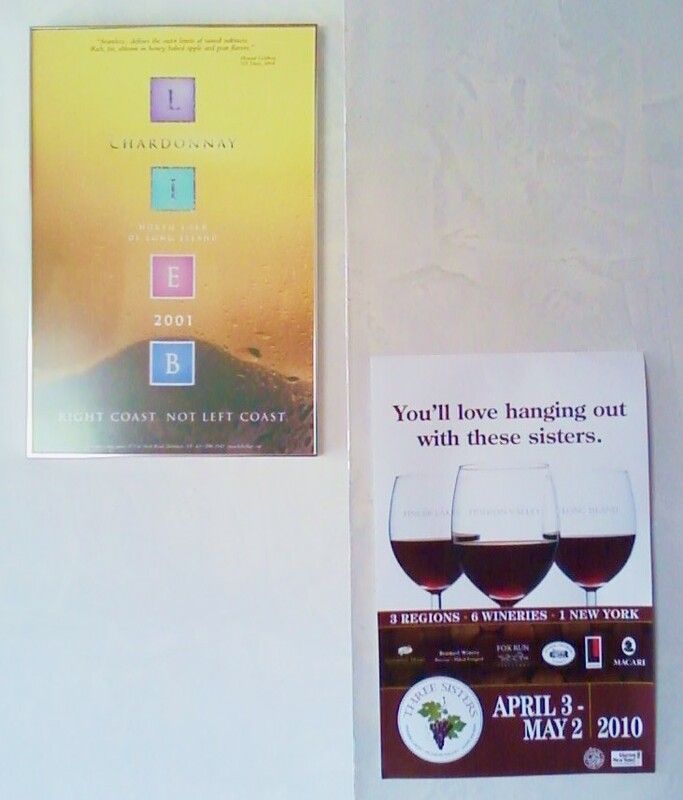 Yes, we promote our wines together regularly at Long Island Wine Council events, etc. 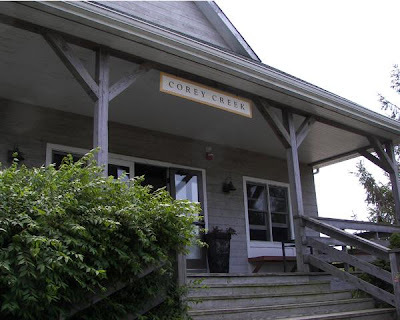 I confess it's been way too long since I've visited the Corey Creek Tasting Room, since I work on the South Fork now. But I'll get back there one of these days. Any children? Did they work at CC as well? Two daughters who showed zero interest in the wine business or grape farming. Oh, well….. Early Long Island Wine Council meetings. It is gratifying today to see the Wine Council having grown to 46+ members (there were 12 or 13 when we first joined in '93)! Getting decent funding from our state government, to properly promote the quality of our wine region. Many more selections, and more consistency of quality from vintage to vintage. There are more white blends, more red blends, more Roses and sparkling wines. Many newcomers…. Hotter than hot….from a cool climate! 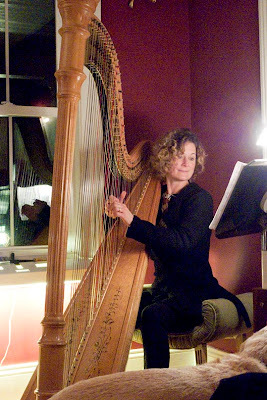 Here's Peggy t the harp, which she plays quite well, in November of 2009. Wine retailers have been, for the most part, amazingly supportive of our Long Island wines. We have found that in addition to our neighboring shops right here on the East End, our best market is Manhattan and Brooklyn. Great customers and forward-thinking retailers who really appreciate our wines! I'm on my way to Stockholm in a few weeks to work in the market there, where we have a wonderful importer who is quite enthusiastic about Long Island wines. We are in several restaurants there, and in Denmark and Germany as well. In the U.S., we sell in other states but our focus is NY Metro, where we have great exposure and support. We love being invited to sell at the Union Square Market as well as Grand Army Plaza in Brooklyn (through NY Ag & Markets). We also do the weekly Farmer's markets locally in the Hamptons, and they are a very positive experience. Customers love buying direct from the grower! No complaints here. In just the past few months, we've had great reviews of our wines in the NY Times, Food & Wine, Alan Duran's Periodic Review of Wine and wine bloggers such as yourself. We receive excellent coverage from local press for our wines and events at the winery tasting room. Hard to track this….it's all good! How could we have too many wineries? The more, the merrier! 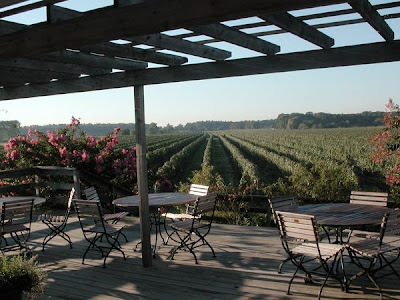 "I love that the little pink crepe Myrtle bush we planted off the back terrace is now huge and often featured in photos depicting CC vineyards and the Long Island wine region (was the cover photo of the LI Wine Cooncil brochure for years)," said Peggy. As I'm sure you know, we have at least 6 wine trails in New York....if we could just convince Gov. Paterson to restore our funding, our New York Wine & Grape Foundation could continue its excellent work to promote us all. Bring on the grape growers…..bring on the grape grower customers! 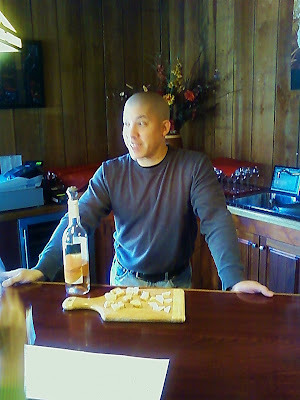 Tomasello Winery makes many different wines. 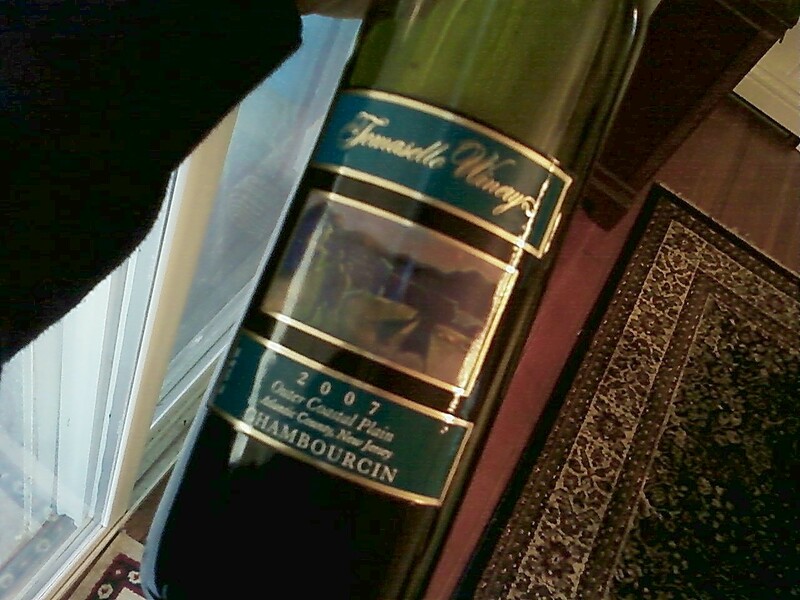 One my favorites of theirs is the Outer Coastal Plains, Atlantic County, NJ Chambourcin. I tried the 2007 edition just recently. Incredible. According to Charlie and Jack Tomasello, "Chambourcin has been steadily gaining popularity with wine drinkers." 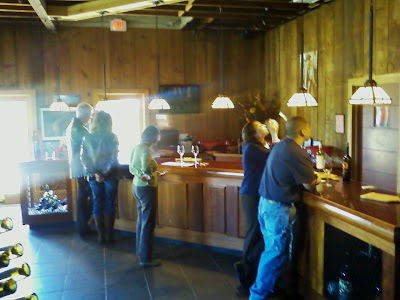 Their Chambourcin wine has won numerous awards including the New Jersey Governors Cup. Chambourcin is a French Hybrid made in a fruity Beaujolais style. The grape leaves a deep color, so the wine is a medium-bodied red, with just enough maturation in oak (on year in American oak) to make a difference. The result is a wonderful wine with plum and raspberries, and a touch of vanilla. Good tannins and medium acidity make for a well balanced, drinkable wine. A very approachable red. A very nice version of this grape! New Jersey is showing more and more what can be done well with Chambourcin. There are a number of wineries in New Jersey and Pennsylvania who and or make a Chambourcin, but there are a handful of good Chambourcins. One of my favorites is 4JGs Vineyards in Colts Neck, NJ. They make a big, deep, dark, dry red, called Chambourcin Riserva 2005. This is an opaque wine, with a dark red ring on the edge. The wine had lots of dark berries, black berries and dark raspberries, and even a touch of plum and a hint of prune and a touch of vanilla. With big fruit up front, there was also tannin to match. This is a big wine for people who like deep wines. For all it's big flavors, the wine was nicely balanced. This is a big wine. Drink it now with grilled steak or portobello mushrooms, a spicy pasta dish, or some other big roast. Or cellar it for five or six years. It will definitely hold up! Occassionaly I wrote about Canadian wines. I like Canadian wines. We used to drink more of them than we do now. I used to travel to Toronto (a great town) more often, and so had occassion to taste them more often than I do now, and bring some bottles home. However, recently I bought a bottle of No. 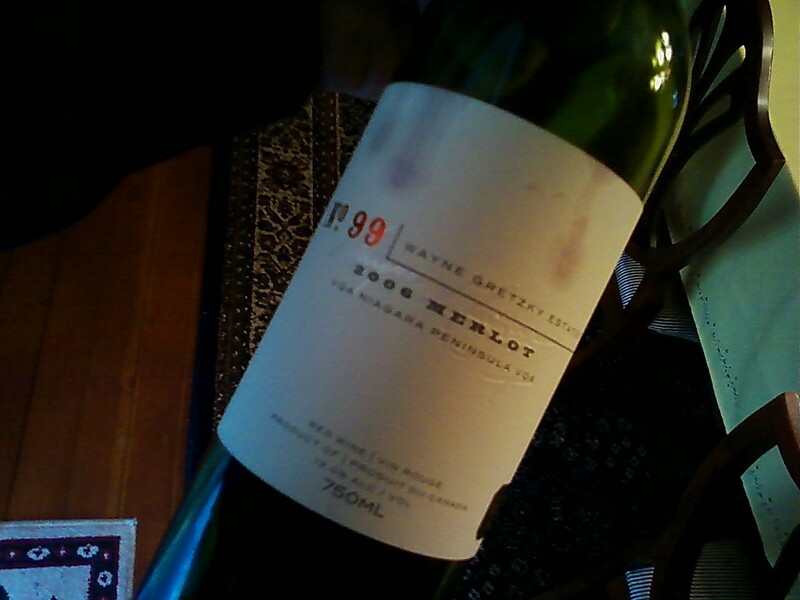 99 Wayne Gretzky Estates Merlot 2006. "Having my own winery in Niagara allows me to contribute to the growing reputation of wines from a region that's close to my heart and to my home town. Each wine has been created in the service of my foundation and I am very proud of the fact that with every bottle you enjoy, we're able to help kids in communities across Canada," states The Great One. If you know anything about me, I am a sports nut. Giants, Yankees, Knicks, Rangers right down the line. 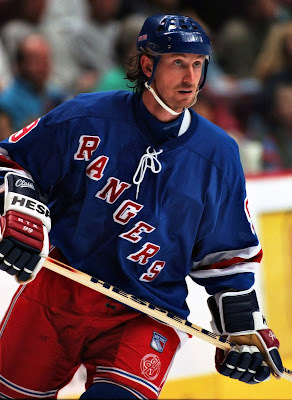 And I loved Messier and Gretzky, no matter which uniform either of them wore. Merlot 2006 is a fruit-forward dry red wine. Lot's of blackberry and cherry up front. Lots of dark berries, like a blue and blackberry cobbler, with a touch of mocha, and maybe a hint of vanilla. Low to moderate tannins make this a delicious, very drinkable wine. A nice gift from north of the border. "Mr. Palmer, more entrepreneur than oenophile, bought the farmland for his vineyard, in Aquebogue, just east of Riverhead, after selling his interest in Kelly Nason, a Manhattan advertising agency. This was in 1983, when the Long Island wine industry was nascent. The winery opened three years later as one of the most modern in the region and soon became one of the most tourist-friendly, showing the way for many of the vintners in the region that came later," wrote Bruce Weber in the New York Times in January of 2009, when Mr. Palmer died. “He was one of the first major investors in the region,” said Richard Olsen-Harbich, the winemaker at Raphael, a North Fork winery established in 1996. “I helped him make his first wine in 1985.” Palmer was a showman and marketer, one of the first on Long Island. 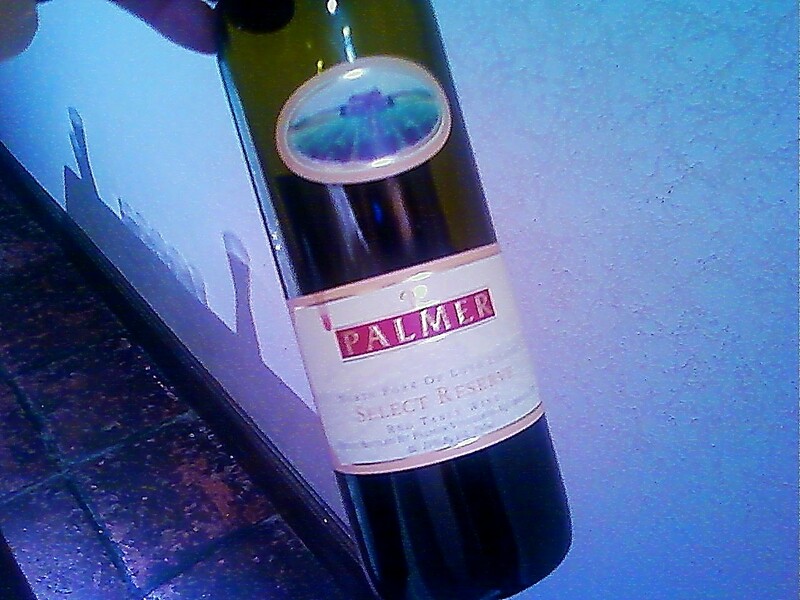 Palmer was fond of saying, "I've got to be careful, my name is on every bottle." Today, Miguel Martin is the keeper of Palmer's flame. 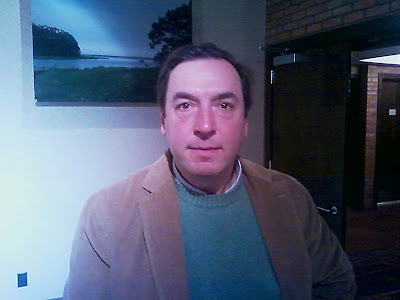 He is a talented and competent winemaker, who consistently turns out solid wines. He is one of the most well-traveled, most expereinced winemakers on the island. His hiring in 2006 by Palmer himself, was big news out on the island. Martin was technical director of Otero, a year-old, 300,000-case-a-year winery in Castilla-La Mancha built in the past year near Toledo, Spain, at a cost of 17 million Euros by Gonzalez Byass, the Spanish wine producer best known for its Tio Pepe sherry. Before joining Otero he was director of winemaking at Bodegues Sumarroca in Penedes, Spain. 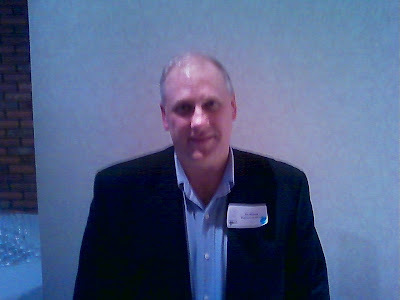 From 1997 to 2003, Martin was varietal program manager for white wines at Mondavi’s 6-million-case Woodbridge Winery. He also served as winemaker and vineyard manager at Durney Vineyards, a 25,000-case premium wine producer in California’s Carmel Valley and before that was winemaker at the 250,000-case Calitera Winery in Chile. His experience also includes work at Yalumba Winery in Australia’s Barrosa Valley, the Gloria Ferrer Winery in Sonoma, Calif.; LeReve Winery in Southampton and Pazo del Ribeiro in Orense, in Spain’s Galicia region. I tasted two of his wines recently. The Rose' Merlot was bright, with a big strawberry nose and a lovely bright refreshing wine, with a wonderful tart finish. A lovely rose'. Impressive. The wine I liked very much was the Select Reserve. It was a big forward dry red, with lots of deep fleshy fruits on the nose, like blackberry and dark raspberry, dark cherries, and thenfinished smooth, with nice tannins, a hint of vanilla, and wonderful mouthfeel. An elegant dry deep red. A lovely wine. 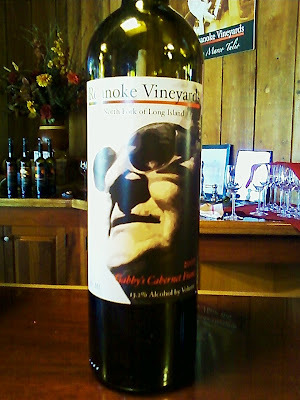 Mr. Martin was brought in to make world class wines in Long Island. His appearance on the island has certainly made a difference. Jim Waters is a home winemaker turned award-winning professional, and produces limited edition, high quality, boutique wines. 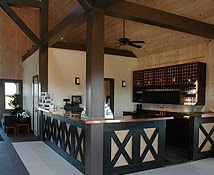 All of Waters Crest’s wines are made, bottled, and labeled right on site; and visitors are always welcome to a winery tour. I recently caught up with Jim at the LI wine tasting, and tasted several of his wines. My favorite was the 2006 Campania Rosso. This Bordeaux style red blend is comprised of 70% Merlot, 10% Cabernet Sauvignon, 12% Cabernet Franc, and 8% Petite Verdot. Lots of dark aromas abound with this wine, including currant, plum, dark chocolate and dark cherry. Good acidity, nice balance. An elegant wine. 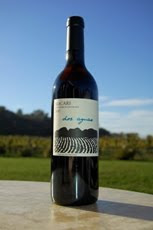 The wine received 86 Points in Wine Enthusiast! I also liked the 2006 Merlot. The 2006 Merlot is a nice, full bodied dry red wine. This garnet colored red is rich with big fruits on the nose and on the tongue. Lot's of big, beautiful black cherries on the tongue. Only 144 cases produced. 2008 Campania Bianco was also nice. This was a bright, dry, elegant blend of 78% Chardonnay, 15% Sauvignon Blanc and 7% Riesling. Lot's of citrus notes and with hints of melon, mango, and grapefruit. Tangy, fragrant, and refreshing. Very, very nice. Only 77 cases produced. A really lovely cross section of wines, well worth seeking out! Does one need to introduce or offer some semblance of explanation as to what Wolffer Estate is or who Roman Roth is? It seems silly to have to retread that old ground. Roth is in the pantheon of wonderful east coast winemakers, up there with Eric Fry and Richard Olsen-Harbich, making up the esteemed Long Island contingent. But at a recent tasting Roth's newest meritage, Fatalis Fatum 2006 set tongues wagging, noses working, and eyes twinkling. Wow! Roth dominated the room and he wasn;t even there. 42.0% Merlot from their oldest Merlot vines planted in 1990 with a low yield of 1.5 tons/acre. 29.0% Cabernet Franc planted in 1991 with a yield of 1.9 tons/acre. 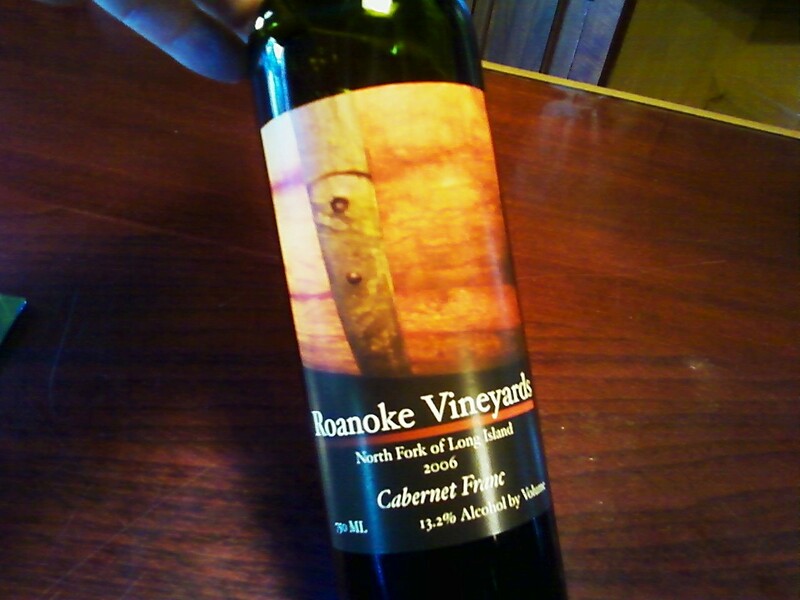 27.5% Cabernet Sauvignon from Roanoke Vineyards planted in 2000 with a yield of 3.0 tons/acre. 1.5% Barbera from Indian Neck Farm planted in 1990 with a yield of 3 tons/acre. This is a big red wine. Deep, dark, almost opaque. A slightly reddish-purple rim in the glass. The nose tells of dark raspberry, blackberry, cassis, vanilla with the slightest hint of cedar and sandalwood. And the taste across the palate is also deep and rich plums, blackberries, dark cherry, minerals, and a touch of mocha. This is a big layered red, with deep, dark flavors, and lots of beautiful fruit. Easilly one of my favorite reds from Long Island....or the east coast. This is truly a great wine! An important wine! After the detailed selection process on assorting-table, the lots were fermented separately. The Merlot was fermented in a 6000 liter upright French oak tank, the Cabernet Sauvignon and Cabernet Franc in stainless steel and the Barbera in a 1 ton bin. They fermented at a peak temperature of 86° with a total maceration of 22 to 26 days. The pump-overs and punch-downs were done very meticulously 3 times a day (every 8 hr) during the peak of fermentation. The wine was then gently pressed, and the press fraction >1.1 Bar was separated. After 7 days it went straight into French Barriques (90 % new oak). Malolactic fermentation finished 100%. The wine spent 22 months in oak and was gently racked a total of 5 times. The goal was to make the perfect blend, to bring together the best wines in the cellar, crafting a flavor and taste quilt of seamless beauty and intensity. 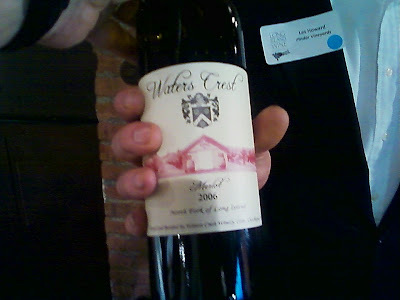 The final blend was done in February 2008, and the wine was bottled on October 26th, 2008. 589 cases were produced. 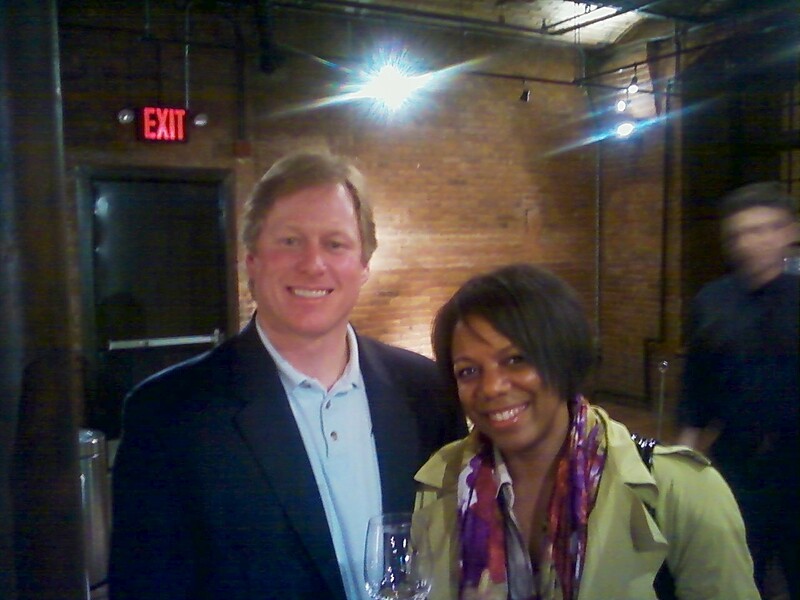 I recently met Ronald B. Goerler owner of Jamesport Vineyards and Tanya Robinson, wine consultant, Astor Wines & Spirits (above) at an LI wine tasting. Jamesport Vineyards is a father-son collaboration that began in 1981 at Early Rising Farm in Cutchogue, New York, making Jamesport Vineyards one of the North Fork's oldest vineyards. Sixty acres of pristine vineyards are located here, with the majority of plantings include Sauvignon Blanc, Chardonnay, Merlot and Cabernet Franc. 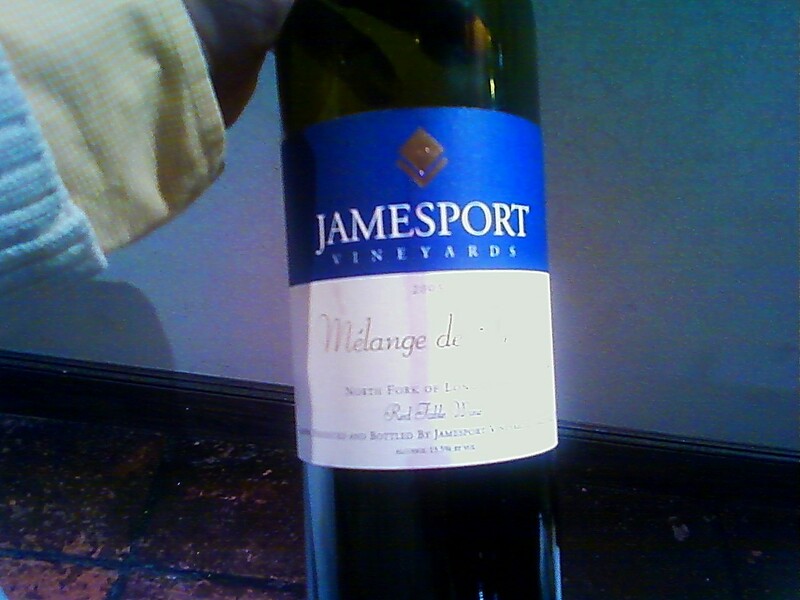 Jamesport Vineyards is an estate winery. In 1986, Ron Goerler Sr. acquired the 150-year-old barn that houses the winery and tasting room. With Ron Jr., he started Jamesport Vineyards in 1989. Two of Ron Jr's sons have since joined the family operated business. 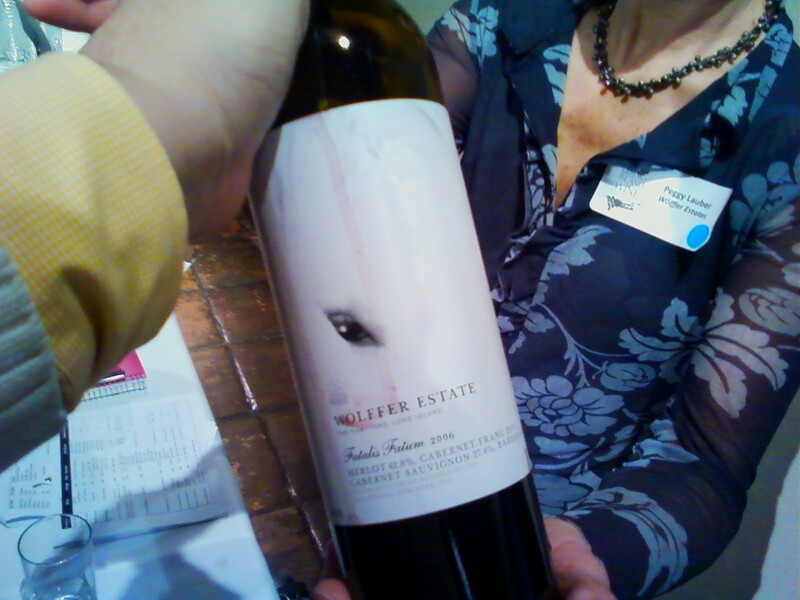 I tried the Melange de Trois, a wonderful, deep, dark dry red blend. This is an elegant Bordeaux-style meritage, combining Cabernet Sauvignon, Merlot and Cabernet Franc. There's lots of dark stewed fruits, like blackberry, dark currant and a hint of vanilla and tobacco. It's a big, chewy wine with lots of up front fruit, and nicely balanced at the end. And the flavor lingers long on the tongue. 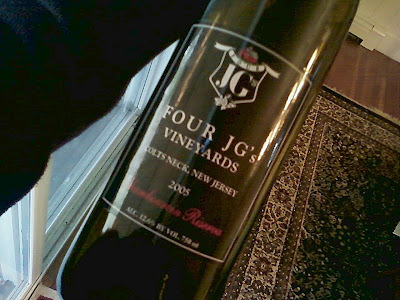 OK, I'm about to go on a major Long Island wine jag, because I've tasted a huge number in the last few weeks. So you'll have to bear with me. I'll try to break it up. 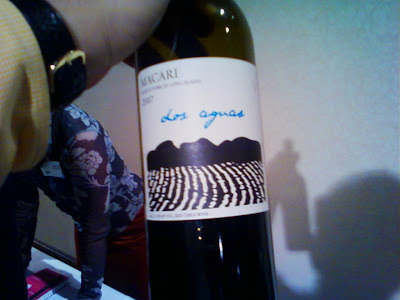 First on the list is Marcari Vineyards Dos Aguas.2007. This is a magical blend of 45% Cabernet Sauvignon, 36% Merlot, 15% Cabernet Franc, and 4% Malbec. This is big deep wine. Tastes more California than New York, with lots of dark, stewed fruits like plums, dark cherries, and other jammy flavors.. A touch of tobacco, lots of spice notes, and a bit of vanilla. Nice tannins and balance. An excellent wine. My new favorite Macari red. A big, elegant, drinkable red wine. I think tastes like one of the best red wines made on the east coast!